Of course it is no surprise that this Sunday is EASTER! And we all know there will be flowers and brass and triumphant music and favorite hymns and excited children and dressed-up adults and both Alleluias and Hallelujahs and even rumors of an empty grave and eternal life . . . and there will be a story that reminds us of what we are celebrating. And just because it is no surprise to you, doesn’t mean there is not someone in your circle of acquaintances for whom our Easter Celebration might be a wonderful new thing to experience! Remember that part of the story? – when Mary saw the empty tomb, she ran to tell her friends Peter and John. Let’s do the same and have a great Easter together. Many of us love all the traditions of Easter, including the flowers, music and dressing up in our Easter best! We can worship in various ways though, including this informal service where you might see folks wearing anything from shorts and t-shirts to dresses, suits and ties. Feel free to grab a cup of coffee in our lobby and bring it in with you. Our worship is led with guitars and drums, and you might even recognize a song or two from the Christian radio station! We’ll share the Easter story, and talk about its significance for us today. This is a great opportunity to invite a friend, neighbor, or coworker. Let them know you’re saving a seat for them as we save a seat for you! What do you mean by Traditional-Blended or Contemporary worship? We understand that people have different styles for connecting with God in a meaningful and personal way. Pender offers two styles: Traditional-Blended and Contemporary. You will discover the people who attend these worship services are varied in age. Traditional-Blended is largely traditional in flavor from a wonderful organ and beautiful hymns, choral, orchestra, children’s or bell music and traditional surroundings in our main sanctuary. Mrs. Theresa Carpenter leads the choir, and several servant volunteers are involved. During these services there is a time for the children on the altar steps at the front, and all children are invited to enjoy! Contemporary worship is led by our praise band in a rock-and-roll style with many contemporary Christian songs that you might hear on the radio. Pastor Catharine delivers the message, often enhanced with video or drama. Our contemporary worship services are more casual in nature, so wear your jeans or shorts if you want to. Come for this Easter’s Traditional Worship to experience special music (Handel’s Hallelujah Chorus) and a special message brought by Pastor Catharine. Come for this Easter’s Contemporary Worship to experience great rock-style music and a special message brought by Pastor Catharine. Our contemporary worship service is called “Common Ground” and is offered at 9:30 every Sunday, including Easter! All of our worship is Christ-centered, Biblically-minded and relevant to life today. Pender UMC desires that you feel God’s Spirit nurturing you and that in worship you experience the very real presence of Christ with us. May you be blessed by God as you gather with us. Where do I enter the building? First, we want you to know that our church has worked hard to create a building with access for all. Whether you find yourself in a wheelchair or carting babies in a buggy, you’ll find automatically opening doors and large entrances. As you enter the parking lot, you will notice two doors, both under porticos so that you may get out of the rain if it is wet. To enter through the main sanctuary entrance doors, simply look for the semi-circular driveway. If you enter the sliding glass doors entrance, make a left into the hallway to the end where you will notice the welcome area on your left. What do my children do? We invite older children (3rd grade and up) to become fully involved in worship. At the back of the sanctuary are “children’s bulletins” and supplies like crayons. Our younger children have the option of remaining with their family or being cared for by our wonderful nursery and childcare staff. Childcare is available for children ages birth through 2nd grade in the lower level of our building. Ask an Usher to help you find where to take your children! We attempt to have plenty of parking on Easter morning for our guests. However, we suggest you plan to arrive early, and if parking is full on our lot, there is parking on the street. What if I need further information? Our friendly volunteers and staff will welcome your questions! Please call our church office at 703-278-8023 between 9 am and 3 pm, Monday through Friday. Once at Pender, ask any friendly face for help! We are here to assist you. The days leading up to Easter often have an understandably somber feel to them, particularly as we contemplate Jesus’ arrest, trial, and execution. It’s easy to forget that the week begins with a joyful event: the Triumphal Entry! 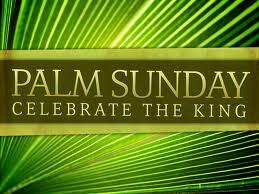 Sunday, March 14, 2019, is Palm Sunday, the first day of Holy Week. On Palm Sunday, we commemorate Jesus’ celebrated entry into Jerusalem just a few days before his arrest, trial, and crucifixion. ‘Twas the night before Christmas…and the people were celebrating Jesus’ birthday! You’re invited to spend your Christmas Eve at Pender UMC as we celebrate the birth of Jesus the Messiah, the Savior of the World, with candlelight, Christmas carols, and the incredible story of his arrival on Earth. Pender’s children’s choirs will present their Christmas musical “The Legend of the Christmas King” at the 5:30 family service. Kid-friendly glow sticks will stand in for our candlelight! The 7:30 and 11:00 p.m. services will include carols, candlelight, and a Christmas message from Rev. Dr. Catharine Guest. You’re invited to a musical celebration of God’s gift of eternal light! The Pender UMC music ministry presents “The Promise of Light”, a cantata (narrative piece of music) composed by Joel Raney. The piece includes Christmas carols and original choral music blended with narration, piano, handbell, and percussion, to tell the timeless story of the birth of Jesus Christ, the Light of the World. The production will take place during Pender’s only Sunday worship service on December 9, at 10 a.m. Stay for a delicious brunch after worship! No RSVP required; all are welcome. Childcare will be available during worship for ages birth through 6th grade. This is a FREE family-friendly event! Come to Bethlehem and see…a night filled with light! Pender UMC is bringing the Christmas story to life so you and your family can walk through the Bethlehem marketplace and living nativity, and be immersed in the spirit of Christmas. Visit and participate with Bethlehem bakers, carpenters, potters, scribes, and artists as you learn about the events surrounding Jesus’ birth, and see the live animals and actors in the nativity. Sunday, December 2, 2018 is the First Sunday in Advent. The first Candle of the Advent Wreath is lit on the first Sunday of Advent, on December 2 this year. It is called the Prophecy Candle and reminds us that Jesus’ coming was prophesied hundreds of years before He was born. The candle’s purple color represents Christ’s royalty as the King of Kings.